As you flip through a range of channels on your TV or browse through a stack of newspapers and magazines at a newsstand, you may feel lucky about living in a world where such a plethora of viewpoints is available. It might also seem that the apparent increase in media choices also increases the chances for the public interest to be understood and served fairly. Unfortunately, this is far from the case. The media world is shrinking by the day. The coming year might go down in history as that of major media consolidation, as in concentration of media ownership in the hands of a few large conglomerates and powerful media moguls. Predictions regarding mergers of media companies are very bleak, and to a degree frightening. In his Los Angeles Times article “2010 predictions: Another turbulent year ahead for media”, Joe Flint determines that the debate in the media world “over which is king –content or distribution” was settled in 2009. As a result, a new wave of mergers is likely to follow. Giant media will guzzle other giant media, which had already swallowed less enormous media companies, who in turn had .. well, you get the point. When US President Thomas Jefferson made his famous assertion that “the only security of all is in a free press,” he hardly had media consolidation in mind. Giant media companies reflect the giant, albeit specific business interests of their owners and their advertisers. Neither News Corp nor Viacom are dedicating their services to serving the public. Such companies are dedicated only to financial growth, even at the expense of what matters, or should matter most to the majority of their consumers. In other words, while media companies proudly propagate the value of democracy, as they gain from a very specific interpretation of it, they are neither democratic nor representative. How will democracy, mass participation or public interest be served by the Comcast Corp.’s purchase of NBC’s Universal or the Disney Company’s acquisition of Marvel Entertainment Inc.? The media industry has turned into a jungle, where the survival of the fittest is determined not by value of content, or by contribution to society, but rather by ‘smart’ business deals that ensure survival in an increasingly demanding media market. Times are changing. The Federal Communications Commission (FCC) was in fact established with a clear mandate (the Communications Act of 1934) to operate in the benefit of “public convenience, interest, or necessity.” Whether the FCC lived up to that mandate or faltered in some of its responsibilities, the fact remains that the FCC is now part and parcel of the incessant efforts aimed at concentrating the ownership of the media in fewer hands. More, even the courts that kept the FCC in check might possibly concede in favor of more media consolidation. “Get ready for a flood of media consolidation deals,” Ira Teinowitz wrote in theWrap.com. The reason is simple, but requires a short detour. In the mid 1990’s, the FCC began relaxing its regulations on media ownership. In 1996 a process of “deregulation” led to a wave of mergers, as thousands of radio stations were sold to a few larger companies, and TV ownership became more concentrated than ever before. In 2003, the FCC once again moved to deregulate US laws regarding media, and this time the new media ownership laws targeted local media across the US. Fortunately, a US court moved in to thwart the FCC’s concessions that seemed to mainly serve large media conglomerates. But the United States Court of Appeals for the Third Circuit’s decision is being challenged once more. The economic recession in the US has hit many newspapers hard. One hundred and fifty newspapers have either gone out of business altogether or are now online, the Seattle PI and the Christian Science Monitor being major examples. Thousands of media outlets across the US are barely breaking even and many are struggling to come up with a viable business model, with little hope on the horizon. If the rules are reversed, the mergers and further media consolidation will affect the top twenty markets in the US. Knowing what we know about the history of encroachment of large media companies, we can only guess that this is just the beginning of further concentration of media ownership, and subsequently the stifling of freedom of expression for the large majority of people, especially those whose opinion is not consistent with the business (or political and ideological) interests of media owners and their benefactors. Unfortunately, this trend is not confined to the US. The economic recession is global, and giant media companies are not operating within specific geographic boundaries. “The Spanish media sector saw the start of a wave of consolidation amid signs that at least two of them were close to announcing a tie-up,” reported the Financial Times on December 17. This seems to be a repeated media-related news story in various countries. 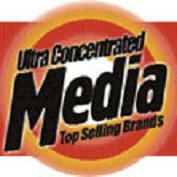 More, the media consolidation is felt in all media sectors, including film, music and others. The continuation of this trend is terrible news for public interest, civil society and democracy as a whole. We must resist shameless efforts of the few at owning everything we see, hear and read. By owning all the influences that shape our views of our surroundings and the world at large, the public will soon be forced to surrender every available outlet of expression, and eventually its very self-definition. Yes, even the way we define ourselves will ultimately be determined by a billionaire in some penthouse, who makes his wealth selling us packaged lies as news and trash as entertainment.